Manchester United are a thoroughly transformed side under the leadership of club legend Ole Gunnar Solskjaer. Despite being on a two-game losing streak thanks to Arsenal in the Premier League and the Wolves in the FA Cup, the consensus is still strong that the Norwegian ought to be named the full-time gaffer soon. Reports as early as last week suggested that such an announcement could be made during the ongoing international break, although now, one does wonder whether the ousting from the FA Cup will have an impact on that move. The domestic competition was arguably the side’s best shot at silverware this season, given that they have drawn Barcelona in the quarter-finals of the UEFA Champions League, and are presently just outside the top-four spot in the Premier League. Now, Paul Pogba, speaking to Sky Sports, has weighed in on the debate, stating: “Of course we want him to stay. The results have been great. While Ed Woodward did specify that any announcement regarding a managerial appointment would only be made at the end of the season, the incredible PSG win seems to have changed matters considerably. 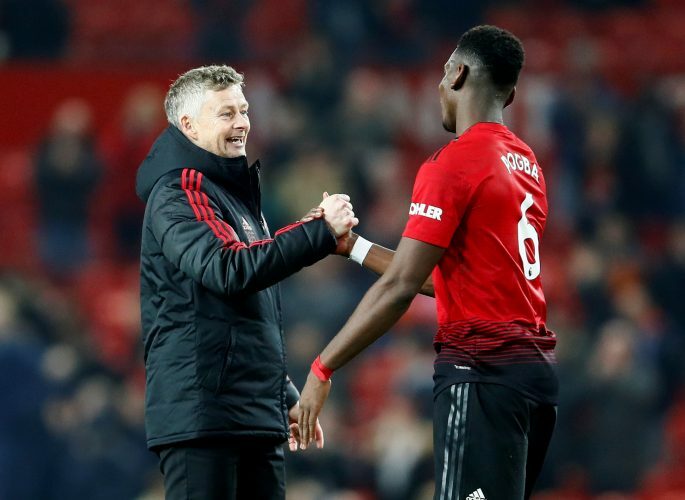 By handing over the reins to Solskjaer now itself, the club will get a headstart with regard to the players to be brought in the summer transfer window, while also sparing them the woes of yet another transition period.